You may be wondering what this graphic means. Perhaps it's your first time seeing it, but perhaps you've seen it here and there and not understood its significance. It is called a Quick Response Code, or QR code. Technically, it's nothing more than a two-dimensional bar code created back in 1994 by a Japanese company to track vehicle parts. The QR code is defined and published as an ISO standard and is free of any license. The SPARQCode standard builds on this by defining a standard for encoding data so that scanning software can agree on a common format for different data types. The utility of the QR code was quickly recognized as a method to provide a real-world hyperlink that users can simply "photograph" to be transported to a web page. Now most Japanese mobile phones can read it with their built-in cameras. Google Android now has a reader built in, Nokia's Symbian operating system has a reader, and you can download readers for the iPhone or even Windows Mobile devices. Essentially a QR code can store a URL and additional metadata, as well as other types of data. For example, contact information can be stored (phone numbers, addresses, vcards). In Japan, QR codes appear on mundane items such as food labels and bus stops. When users scan the code they may be presented food ingredients or recipes, or bus schedules. In the US they appear much less frequently and are largely unknown by the average mobile phone user. The simple example is in print advertising or other print marketing. Every time you feel that you'd like to place a web site address on some collateral material, consider including that same URL in a QR code. Now you aren't asking readers to memorize an address and hope they'll visit it later, instead you can benefit from the immediacy the QR code gives by allowing your readers to jump right to your web page. You can encode a slightly different address so that you can better track response rates and even provide special promotions for visitors who use their mobile phones. 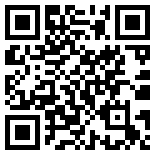 Consider using a QR code to encode your full contact information in the form of a vcard. Place this on your business card, your letterhead, your sales brochures, or anything you might hand out when speaking to people. Encode an event within a QR code to allow people to put it on their calendars. This can work for everything from band fliers to trade show mailings. Granted, support for the ical format may not be very high in the readers right now, but the potential is there. Given the explosion of social media based around checking into locations (Brightkite, Foursquare, Gowalla, Loopt, and so on), I think it would be great benefit to have a "check in" QR code on a wall. If the social media players could agree on a standard, then checking in via Foursquare, for example, could be far simpler than clumsily pecking a venue name into the tiny keyboard on your phone (followed up with search refinements). Simply wave your phone past the QR code to get to the place page and then press the "check in" button. In the Foursquare model, you can even award an extra point for the verified check-in directly from the venue. While the technology has been around for a while, we haven't seen it used as much in the U.S. The advantage is that there is a lot of good historical use in Japan on which to base future use here. Even for those who have heard of QR codes the technology may seem daunting (it isn't), but providing some potential uses may be enough to get marketers (and others) interested in using them. For example, if you are already printing a document, the additional cost to add the QR code is nothing for the printing itself, and only a little extra time to work it into the layout. Google recently launched their own campaign using QR codes. Google sent 100,000 window stickers to businesses for display in the business window as part of its Favorite Places campaign. These stickers, printed with QR codes, are intended to drive users to the Google Maps page for a business (restaurant, cafe, barber shop, etc). This helps explain why Google has put a QR code scanner on their Android phones. 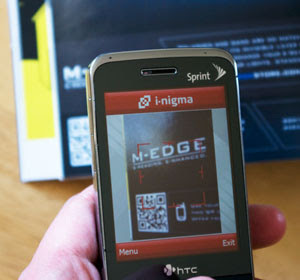 Finding QR codes in your daily life may be a bit trickier. I grabbed a few magazines and newspapers to try to find a QR code. I was able to locate just one in an ad in Wired magazine. The ad designer even explained just what the point of the code was and smartly included an incentive to help motivate people to try the link. Since I have a Windows Mobile phone, I had to first download a QR code scanner before I could even try the ad (ok, I actually downloaded it a while back, but I think you get my point). Scanning the code brought me to mobile-optimized page showing me a discount code for an order. I have no need for the product, however, so even this one rare example I found didn't do me much good. In a curious twist, Brighkite includes a QR code in the right column of pages that show a single post. It sits at the bottom of the page, below the maps, and it is not a hyperlink on the web page. When printed, the QR code is often on a second page instead of alongside the post. Showing it on the page itself doesn't do much for the user since it simply links to the current page, but it does have value on the printed page — moreso if it prints right at the top. There are other sites that let you generate a QR code, but you can expect the same information to look different for each generator. It may be a function of the generator writing in some metadata (such as the source or some other information that you otherwise do not see). As an example, these two QR codes encode http://AdrianRoselli.com/, but look different from one another (forget the size difference, one embeds a big white border). If you do generate your own QR codes, be certain to test them first. A simple typo can ruin the experience for everyone who tries to use it. Back in 2006, Microsoft announced the Windows Live Barcode project, which consisted of an online QR code generator and software for mobile devices to scan it. In time Microsoft let the project languish and has recently moved to the High Capacity Color Barcode (HCCB) standard, invented by Microsoft in 2007. Using a palette of 4 or 8 colors (plus black and white) and triangles instead of squares, it can hold more data, or 3,500 characters per square inch with off-the-shelf printers and scanners (cameras). Cnet covered this new initiative, called Microsoft Tag, in its early February article Microsoft tries to reinvent the bar code. Apparently the HCCB image doesn't need to be perfect triangles. The image below is from the Cnet article. I downloaded the free reader for my mobile device and it was able to read the image, even though the shapes are hearts. Google Chart Tools / Image Charts (aka Chart API) Gallery. Google Chart Tools / Image Charts (aka Chart API). Google ZXing ("Zebra Crossing") project. QR Code Generator from the ZXing Project. Google QR codes to appear in a store window near you. 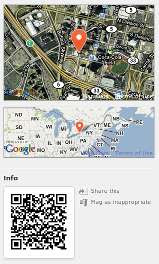 Generate QR Codes for your Google Maps 'Place Page' or any page. Microsoft tries to reinvent the bar code at Cnet.